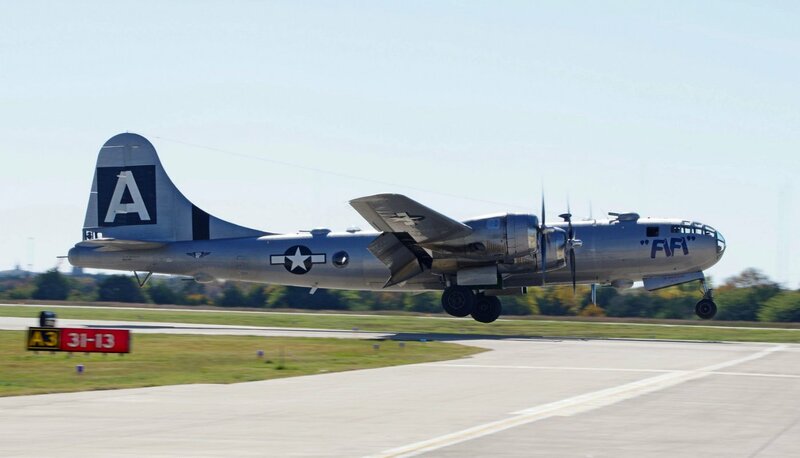 FIFI one of the two flying B-29 Superfortress Bombers landing at the Commemorative Airforce wings Over Dallas show in October of 2018. A friend of mine's father used to fly those. Very nice.